I had a couple of absolute favorites, like The Piano Player, My Aahna, Crystal Crisis, A Round Trip, but some were a complete revelation to me like Jelson or My Lips, though for different reasons. There was so much good reading in here, creative and gutsy and just so different and unrepentant. Freaking genius anthology, just genius. I’m not going to go spoilery on the stories, I really think you should read this without a user’s guide to it beforehand, but I’m just going to give you some main lines and you can decide if you want to take that ride or not. 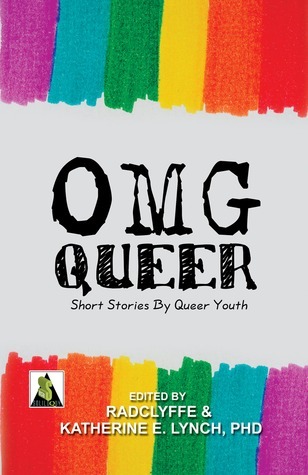 What you should know about this anthology is that it’s written by young adults as far as I can gather and it’s addressed to young adults, or to people who enjoy a young adult story. It’s about and for diverse people, all kinds and flavors, happy or sad, hopeful or hopeless. It’s a thing of beauty because it radiates this state of equilibrium, while reading it and after I just felt balanced and sort of happy. I’m not sure what more a read can do for you, really, but I’m sure this read did it for me. So if you’re an open-minded person I say you just have to give this a try, and if you’re not you seriously have to. You never know when or what will make it so that your horizon will broaden and you’ll be able to encompass with your heart rather then your mind only all that is the world. Just read this, I was entirely delighted for the chance to do so.